With a vacation to Riviera Maya, Mexico in the works, what better opportunity will you have to propose to your girlfriend? You know you’re off to a good start just by pulling out a ring in a tropical paradise, but you have a few more logistics to plan if you really want to ‘Wow’ her. 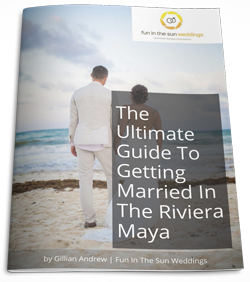 You’ll need to figure out how to pull this off when you really don’t know a ton about getting engaged in the Playa del Carmen area…or maybe you don’t know the area at all! How’s that for adding to the pre-proposal jitters? What you do know for sure is that you want the moment she bursts into tears and says ‘Yes!’ to be captured by a professional photographer. Whether you have a clear vision for your engagement, or you have absolutely no idea how you plan to do it, we are here to help. We are professional wedding and lifestyle photographers in Playa del Carmen, so we know the how, when and where for engagement photos in Riviera Maya, Mexico. Here’s what you need to know about Playa del Carmen engagement photography when planning to propose. 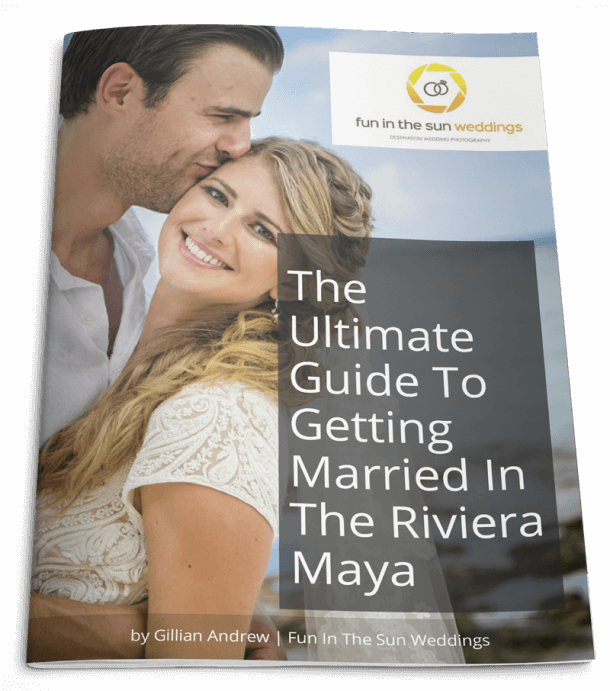 What do you need to know about proposing at a Riviera Maya resort? Nine times out of ten when a Groom-To-Be first contacts us, they are working under the assumption that the easiest and most practical place to propose will be at their resort. And maybe so. But NOT if you want to hire the best Riviera Maya engagement photographers to capture the moment! All resorts in the Riviera Maya have unfortunately adopted a practice of charging you a crazy fee to bring your own photographer onto their property. This is referred to as an Outside Vendor Fee, and they vary from resort to resort, but usually range between the cost of a day pass (120 USD+) to upwards of a 1000 USD! Ouch! And one, in particular, will not allow outside vendors at all. Be sure to ask about the outside vendor policy before making any proposal plans. What should you do if you don’t want to pay the outside vendor fee? First of all, don’t panic. If you don’t want to pay the fee, there are still loads of other beautiful beaches, with beach clubs or cool and unique restaurants where you can propose AND hire the photographer you want. A lot depends on proximity to your resort, and how far you want to travel, so the best thing to do is to ask your chosen local photographer where they recommend setting the scene. What do you need to know about proposing on the beach? The Riviera Maya is a booming tourist mecca. The turquoise sea and soft ivory sand draw holiday-makers from around the world, all year ’round. And by law, all the beaches are public. This means that a totally private beach engagement is going to be impossible to pull off. To avoid disappointment, just assume that you will have looky-loo’s, and inevitably some guy in speedos standing right in the middle of some of your engagement photos. No beach is immune, no time is safe. What should you do if you want an intimate beach proposal? Some beaches are more remote than others, and some have more space for everyone to spread out. You have options for more (but not total) privacy. Ask your photographer for their favorite beaches to shoot at, and let them know how far you are willing to travel to help with the recommendations. When is the right time of day to propose on the beach? From the engagement photographer’s perspective, there is one magical time of day for beach photos in the Riviera Maya: the hour before sunset. This is referred to as the Golden Hour because the light is soft, warm and magical. Once the sun sets, you have about 10 minutes of beautiful light before the flashes and artificial light need to come out, so if you want to go down on one knee in the sand, then plan to do so during the golden hour. What do you need to know about proposing in a cenote? Maybe you want to pop the question somewhere really unique, like one of the stunning natural jungle pools and caves abundant between Playa del Carmen and Tulum, called cenotes (se-no-tays). Lush and beautiful, cenotes make for amazing photos. Unfortunately, you’re going to run into the issue of big fees here too, in most instances. Bringing your own engagement photographer to a cenote in the Riviera Maya will cost many hundreds of dollars over and above their photography fee. Ugh! Plus, you’re going to need to make a reservation well ahead of time. What should you do if you need a tight budget proposal in a cenote? If it has to be a cenote proposal for you, then inquire to local photographers about whether or not they have any secret spots to work with. Because we sure do! And the fee is a fraction of the cost charged by most cenotes. Shhhhhhhhhhh! When is the right time of day to propose in a cenote? Contrary to the golden hour on the beach, if you want to propose in the jungle or at a cenote, you will get eaten alive by mosquitos during the hour before sunset! To keep the romance alive, make your plans during the heat of the day when critters are hibernating. What do you need to know about Paparazzi Proposals? When we get a request from a guy who wants us to capture his engagement but doesn’t want our presence to give it away, we call this a Paparazzi Proposal. And these need an extra level of planning, but are super fun! If you don’t want her to see a photographer at all for fear of tipping her off, then we can stay hidden. The main concern here is light. There will need to be enough light available at a distance so that we don’t need to use artificial light. Basically, once you start getting really close to sunset, this option becomes tricky. Keep this in mind if you want to propose during a candlelit sunset dinner on the beach. From the engagement photographer’s point of view, the best option is to present a reasonable explanation for us being there snapping photos. You can say we are there to capture some vacation memories or some couples’ photos. Then when you pull out a ring during the shoot, we get the best angle to see her expression. Is there anything else to keep in mind for your proposal? Like any great Hollywood production, it’s a good idea to establish your marks with your photographer beforehand. Where will you be standing, where will she be standing, and where will the photographer be standing? You only get one shot at the magic photos. Don’t leave it to chance. Set up a face-to-face meeting with your photographer beforehand, ideally, or a Skype if that isn’t possible. Make sure that you are both on the same page. The Knot offers a few pieces of advice for an engagement photo shoot as well. Now take a deep breath. You’re going to do great! And remember, worst case scenario you are pulling out a ring in paradise. She’s going to be thrilled! And if you are looking for a professional Riviera Maya engagement photographer to capture the moment, then get in touch with us today to book! We are Fun In The Sun Weddings, the best engagement photographers in Playa del Carmen, Mexico.